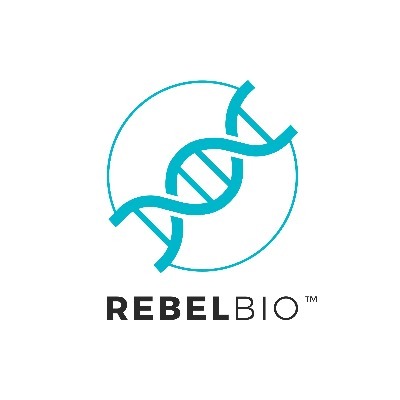 RebelBio is a startup accelerator backed by SOSV supporting companies creating based products and services based on life science technologies. "Approved suggestion from source: http://rebelbio.co"
RebelBio is one of several SOSV backed startup accelerators, and is the first accelerator in the world to focus solely on early stage life science startups. RebelBio began in 2014 and is based out of Cork, Ireland and the Imperial College of London. RebelBio is one of several SOSV backed startup accelerators, and is the first accelerator in the world to focus solely on early stage life science startups. RebelBio began in 2014 in Cork, Ireland, but relocated to the Imperial College of London in 2018 for a more business friendly environment. They offer funding, co-working space, mentorship and access to the RebelBio network of alumni, investors, corporate partners, and media partners. RebelBio is one of several SOSVSOSV backed startup accelerators, and is the first accelerator in the world to focus solely on early stage life science startups. RebelBio began in 2014 and is based out of Cork, IrelandCork, Ireland and the Imperial College of LondonImperial College of London. "Updated RebelBio page. Made it more readable and added some info regarding accelerator cohorts, further reading, and video content. " Life science accelerator based in Cork, Ireland and London, United Kingdom and is the world’s first life sciences accelerator. Rebelbio is an SOSV Accelerator. Rebelbio was started in 2014 and is the world's first early stage life sciences accelerator. Twice a year they invest up to £200K in startups solving life science problems. After teams are selected, the teams move to Imperial College London for 3 months and learn how to turn science into tangible products that impact the lives of people globally. They run a programme that transforms scientists into entrepreneurs. During the program, teams have access to a fully equipped biosafety level lab, co-working space, mentorship and the support of a network of RebelBio alumni, investors, corporates and press partners. Each programme ends with Investor Month. They continue to work with their 'Rebels' (their internal name for people that go through the program). During RebelBio's accelerator program Startup teams compete to be selected. Once selection is complete, each team member is referred to as a "rebel for the duration of the program. The teams head to Imperial College London for RebelBio's 3 months accelerator program. Their accelerator program encourages scientists to participate, and attempts to transform them into entrepreneurs. Each startup focuses on developing life science based products, and learns how to grow their business during the three month accelerator program. Each accelerator cohort finishes with Investor Month; a month where teams get to pitch their businesses to investors in hope of receiving more funding and create important business connections. CEOs of the Biotech future! What start ups are shaking up RebelBio? RebelBio began in 2014 and is based out of Cork, Ireland and the Imperial College of London. "made more neutral and from neutral perspective"
We'reRebelbio was started in 2014 and is the world's first early stage life sciences accelerator, starting in 2014. Twice a year wethey invest up to £200K in startups solving global challenges with life itselfscience problems. After teams are selected, the teams move to Imperial College London for 3 months and learn how to turn science into tangible products that will impact the lives of people globally. WeThey run a crucibleprogramme that transforms scientists into entrepreneurs. On top of the cash investment, duringDuring the program, teams have access to a fully equipped biosafety level lab, co-working space, dedicated mentorship and the support of a network of RebelBio alumni, investors, corporates and press partners. Each programme ends with Investor Month, but our relationship doesn’t. We’llThey continue to work intensively with ourtheir Rebels'Rebels' (their internal name for people that go through their startupthe journeyprogram). Rebelbio is an SOSV SOSV Accelerator. We're the world's first early stage life sciences accelerator, starting in 2014. Twice a year we invest up to £200K in startups solving global challenges with life itself. After teams are selected, the teams move to Imperial College LondonImperial College London for 3 months and learn how to turn science into tangible products that will impact the lives of people globally. We run a crucible that transforms scientists into entrepreneurs. After theyteams are selected, the teams move to Imperial College London for 3 months and learn how to turn science into tangible products that will impact the lives of people globally. We run a crucible that transforms scientists into entrepreneurs. On top of ourthe cash investment, during the program, teams have access to a fully equipped biosafety level lab, co-working space, dedicated mentorship and the support of a network of RebelBio alumni, investors, corporates and press partners. After they are selected, the teams move to Imperial College London for 3 months and learn how to turn science into tangible products that will impact the lives of people globally. We run a crucible that transforms scientists into entrepreneurs. Each programme ends with Investor Month, but our relationship doesn’t. We’ll continue to work intensively with our Rebels through their startup journey.